ROCHESTER, Minn. – Mayo Clinic announced today that it is expanding its services, space and other capabilities at its sports medicine facility in downtown Minneapolis to meet the growing demand for its expertise. Construction on the 16,000-square-foot project at Mayo Clinic Square is expected to begin in late April. “This project builds on our commitment to patients in the Twin Cities area by providing more convenient and accessible sports medicine services,” says Edward Laskowski, M.D., co-director of Mayo Clinic Sports Medicine. “This expansion allows us to serve our patients better by tapping Mayo Clinic’s expertise, cutting-edge technology, research and educational capabilities." Mayo Clinic Sports Medicine is adding a physical medicine and rehabilitation sports medicine fellowship in Minneapolis, starting this summer. Over the next two years, four physical therapists trained in sports medicine will join Mayo Clinic Square’s staff. During construction, Mayo Clinic Sports Medicine at Mayo Clinic Square will be open regular business hours. Mayo Clinic is a global leader in sports and musculoskeletal injury prevention and rehabilitation, concussion research, diagnostic and interventional ultrasound, and surgical and nonsurgical management of sports-related injuries. Mayo Clinic collaborates with Exos, a premier training organization based on mindset, nutrition, movement and recovery. Mayo Clinic and Exos staff work together to deliver sports medical care and human performance training solutions. 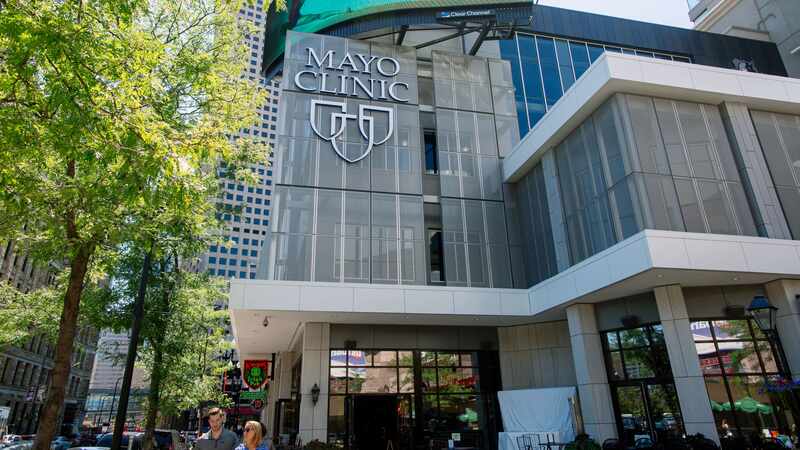 Mayo Clinic opened its 22,000-square-foot sports medicine facility at Mayo Clinic Square in October 2014. It is the preferred medical provider for the Minnesota Timberwolves and Minnesota Lynx.